JT-60 (short for Japan Torus-60) is large research tokamak, the flagship of Japan's magnetic fusion program, previously run by the Japan Atomic Energy Research Institute (JAERI) and currently run by the Japan Atomic Energy Agency's (JAEA) Naka Fusion Institute in Ibaraki Prefecture. 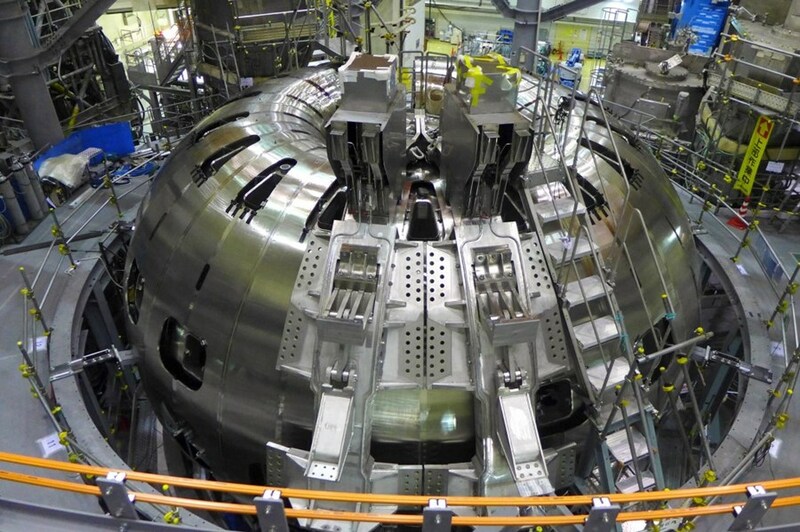 It is properly an advanced tokamak, including a D-shaped plasma cross-section and active feedback control. First designed in the 1970s as the "Breakeven Plasma Test Facility" (BPTF), the goal of the system was to reach breakeven, a goal also set for the US's TFTR, the UK's JET and the Soviet T-15. JT-60 began operations in 1985, and like the TFTR and JET that began operations only shortly before it, JT-60 demonstrated performance far below predictions. Japanese firms Toyota Motor and Panasonic plan to set up a joint venture to make batteries for electric vehicles, or EVs. They want to increase their production capacity and competitive edge as EVs become more popular. The two companies have been holding talks since 2017 on how to work together in the field of EV batteries, which are key to extending the range of the vehicles. Toyota will own 51 percent of the firm. Panasonic will hold the rest of the company's stock. The joint venture will be formally established next year at the earliest. Panasonic will shift most of its battery production facilities in Japan and China to the new firm. A plant in Nevada that it operates with US electric vehicle maker Tesla will not be involved. Toyota hopes that by around 2030 it will sell 5.5 million electric vehicles a year, or half its total projected sales. News of the planned joint venture comes as Chinese companies increase their battery production. Toyota and Panasonic are also working together to develop next-generation all solid-state batteries. YOKOHAMA, Japan (Reuters) - Nissan Motor Co (7201.T) announced plans to sell 1 million electric vehicles (EVs) annually by 2022, a six-fold jump from what it sold last year, and said it had no plans to stop testing its self-driving cars on public roads, calling them safe. Japan’s No. 2 automaker and its rivals are planning to crank up development and production of electric cars in response to tightening emissions regulations around the world, even as demand for such vehicles remains limited due to their high cost and limited charging infrastructure. 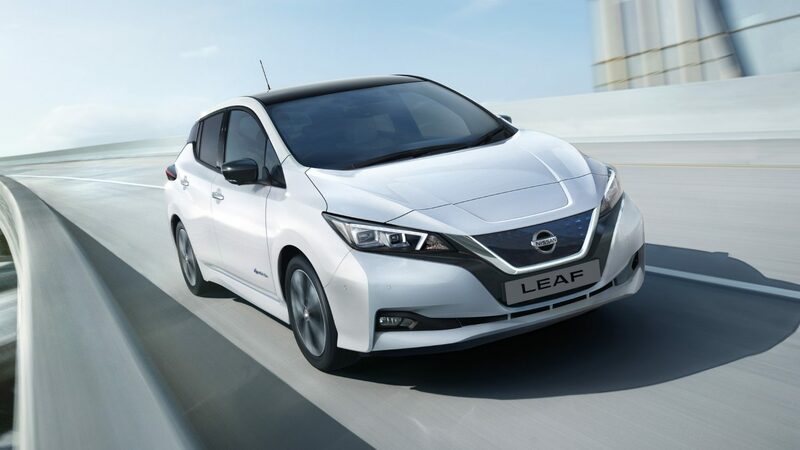 Launched as the world’s first mass-market all-battery EV in 2010, Nissan’s Leaf compact hatchback is the world’s best-selling EV, though sales have been just around 300,000 units in its lifetime. The company now plans to focus its lower-emissions lineup on all-battery and gasoline-hybrid EVs rather than costlier technologies including plug-in hybrids. Nissan said on Friday it would develop eight new all-battery EVs over the next five years, including four models for China. Its luxury Infiniti brand would begin carrying new electric models from 2021, it added. Through 2022, vehicles powered by its “e-Power” gasoline-hybrid technology would likely comprise the majority of Nissan’s electric line-up, it said. Such vehicles use gasoline to power the car’s motor, requiring a much smaller battery than EVs and therefore are less expensive to produce. “The heart of our strategy in terms of electrification is battery EVs and e-Power technology,” Nissan Chief Planning Officer Philippe Klein told reporters at a briefing. Concerns about EV battery costs and components have prompted many automakers to develop a variety of lower emissions technologies, but Klein said that Nissan would largely forego plug-in hybrids and hydrogen fuel cell technologies, given their low cost-performance at the moment. In 2017, Nissan sold 163,000 electric vehicles globally. Nissan and its automaking partners, France’s Renault SA (RENA.PA) and Mitsubishi Motors Corp (7211.T), together plan to launch 17 electric models as part of their strategy to achieve annual vehicle sales totaling 14 million units by 2022, compared with 10.6 million units in 2017. Automakers and technology companies are facing mounting pressure to prove that their automated driving functions under development are safe to use on public roads following a fatal accident involving a self-driving car operated by Uber Technologies [UBER.UL] in the United States earlier this week. Klein declined to comment on the accident, but said that the automaker requires two engineers to be present in the car during self-driving tests on roads - one behind the wheel who can override the automated system at any time as necessary, and another in the back seat to monitor the system. “Because of this, we believe we are safe, and we have not decided to stop our tests,” he said. Nissan held tests for its self-driving taxi service on public roads in Yokohama earlier this month, and plans to offer the service beginning in Japan in the early 2020s.